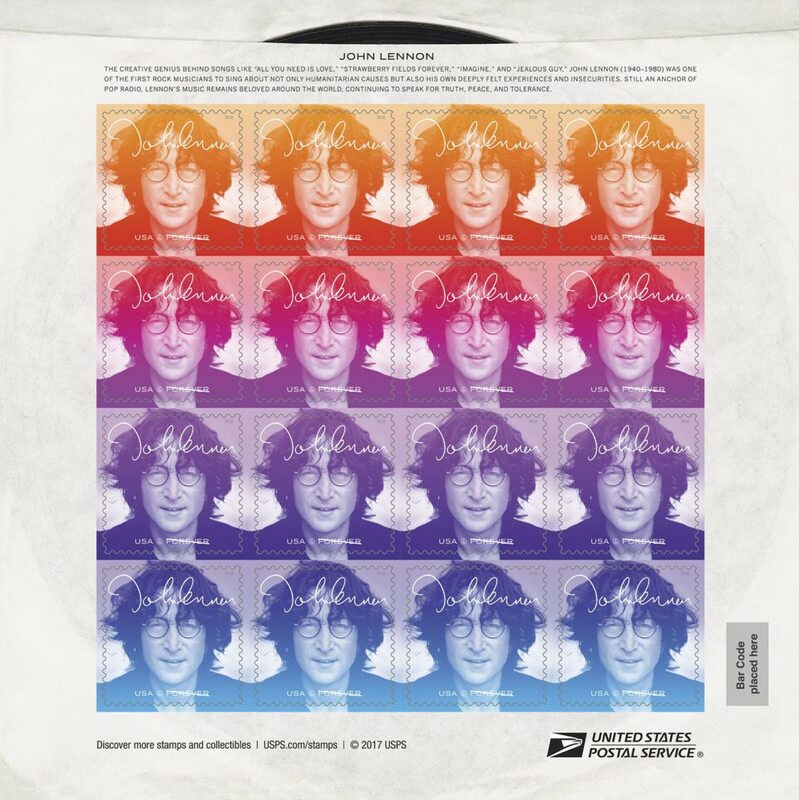 Lennon’s stamp collecting was inspired by his late cousin Stanley Parkes, who gave him the classic Mercury album (with a picture of the god Mercury on the cover) when John was 10 years old. The album’s new owner wrote his name on the title page, after erasing Stanley’s, and beneath it his address at the time: 451 Menlove Ave., Woolton, Liverpool. (The house of his aunt Mimi, later bought by Yoko Ono and given to the National Trust.) As a boy, Lennon prefigured his future of counter culture cheekiness by sketching moustaches and beards on the book’s images of Queen Victoria and King George VI.